At first, we didn’t understand the rationale of a Microsoft Tablet, but over time we did realize that the first-generation Surface products were meant to offer a cool touchscreen experience for Windows 8 (that no one was making at the time). In fact, the Surface products were the first to offer a full-touch experience for tablets, and even with controversies, they did persist in their niche. A few years later, much better Windows versions and newer generations, the Surface gadgets are top-of-the-class two-in-one systems. And things are getting better, especially with the evolved 2017 version of the Surface Pro. Not much has changed (at least on the outside), it has the same dimensions as its predecessor, the Surface Pro 4, and it carries forward peripheral compatibility with that tablet as well as the Surface Pro 3. Inside is a different story, altogether. It gets a set of new Kaby Lake processors, potentially longer battery life, and both the Type Cover and Surface pen have been revamped. The new Surface Pro is a replica of its predecessors, with an exterior clad in a platinum-colored magnesium alloy, the all familiar shiny Windows logo on the back of its kickstand, and the port selection remains the same on the sides: USB 3.0, mini DisplayPort, headset and the connector port for power and docking. Rather surprisingly, it doesn’t have a USB-C and Thunderbolt 3 connectivity, while we can hope to have it in future generation, I still can’t understand why Microsoft opted to make such a fatal (intentional or not) omission. $719.00 at Amazon . With a closer look, you’ll realize that the new Surface has fairly rounder edges around the case, and the vents for the seventh-generation Core i5 and Core i7 processor are slightly thinner, but they don’t count for much. It uses the same 12.3-inch PixelSense Display with a 2,736-by-1,824 resolution as its predecessor, so it feels and looks very familiar. With the high resolution, you get bright color, and viewing angles are wide enough, and it adds more features like an IR camera that’s handy for Windows Hello logon alongside arear-facing 8MP camera for capturing day-to-day memories. The pop out kickstand is among the new improvements in the Surface Pro. It now opens to a full 165 degrees, which takes it to a new flat, while still exhibiting a decent tilt. This is better than the 150-degree recline you get from the Surface Pro 4, and worth the upgrade if your previous Surface Pro doesn’t recline enough for your liking. If you’re worried of the tablet falling off, the Microsoft Surface Dial comes handy. 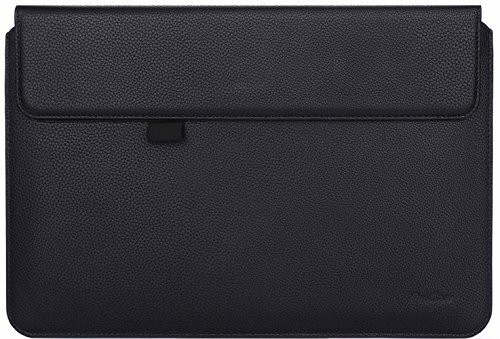 It also gets new Alcantara-clad Signature Type Covers, in the same colors as those we saw in the Microsoft Surface Laptop released in May (Platinum, Burgundy, and Cobalt Blue). The covers cost , slightly more than the Surface Type Covers, but the former feel more luxurious. 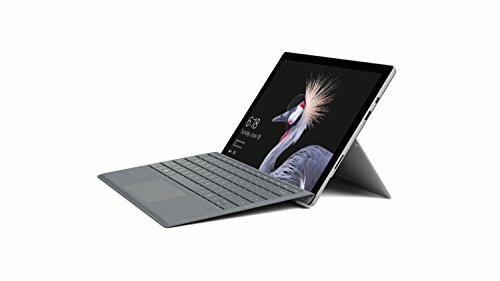 The new Type Covers clip to the Surface Pro use the same connector as the previous iterations, making it compatible with both the Surface Pro 3 and 4, with the same typing feel on the keyboard and the one-piece touchpad is equally easy to use. If you often type for long sessions at home or on a coffee shop table, the keys with 1.5mm of travel are comfortable enough. However, just like its predecessors, a combination of the kickstand and flappy cover won’t give you the most comfortable typing experience on your lap. It also gets the Surface Pen (also sold separately), and it comes in the same four colors as the Type Covers and Arc Mouse. Notably, pressure sensitivity has been improved from 1,024 to 4,096 levels, while the pocket clip has been dropped and replaced by a sturdy set of magnets for attaching the Pen to the side. Still, the pen has a right-click button on the side and a shortcut button on its blunt end, so for those upgrading everything will feel familiar. $819.95 at Amazon has been revamped performance-wise, with Microsoft claiming a 20 percent increase in performance over last year’s Surface Pro 4. 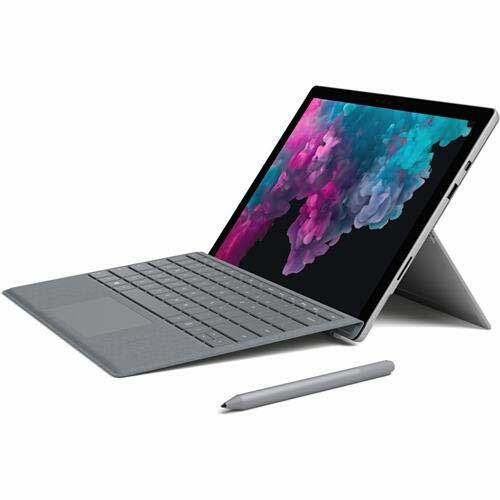 The bump in performance is very possible, especially with the new seventh-generation versions of the Intel Core m3, i5, and i7 processors used in various versions of the new Surface Pro. They’re also claiming an increase in battery life from 9 to 13 hours, which is way better than the 10 hours 23 minutes you’d from the Surface Pro 4 from last year. This is quite impressive considering that the systems boasts a higher-than-full-HD screen, and is so thin. As it stands, the new Surface Pro is a strong 2-in-1 detachable hybrid tablet that builds up on the Surface Pro 4’s success, but goes ahead to include forward-looking technologies, a refreshed design and the luxurious feel of a premium system. The 2017 Microsoft Surface Pro is a shoo-in for anyone looking for a 2-in-1 detachable hybrid tablet PC, thanks to new seventh-generation processors and longer battery life.